Bruce & The E Street Band performed "Highway To Hell" at the Entertainment Center in Adelaide, Australia on February 11th. Watch the live clip here! While in Perth , Australia Bruce & The E Street Band performed an epic version of "Kitty's Back" which goes for more than 16 minutes! Watch the live clip from the Perth Arena here! 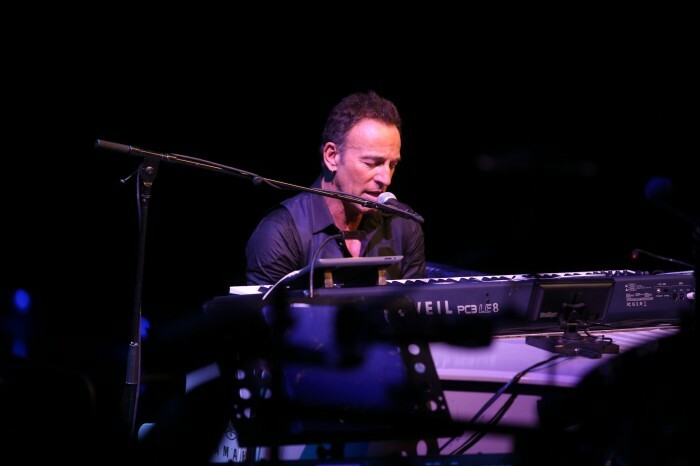 Bruce shares audio of the performance of "For You" from the first night in Perth on February 5, 2014. Listen here, and download the entire show on MP3/FLAC from the Official Bruce Springsteen Store. Bruce & The E Street Band opened their historic first concert in South Africa with "Nelson Mandela." Watch the live clip from Cape Town's Bellville Velodrome here! Here's another one shot from the tour. At Leeds by special request.